Sandys Parish is Bermuda’s most westerly district and is frequently referred to as the West End. It consists of the northern part of Bermuda Island, plus Somerset Island, Watford Island, Boaz Island, Ireland Island South, and Ireland Island North. They are all joined by bridges, with a main road running seamlessly through them. The parish covers an area of 2 ¼ square miles and has a population of just under 8,000. Southampton Parish lies to its south. The main settlement is Somerset Village, situated at the northern end of Somerset Island. Ireland Island North is home to the Royal Naval Dockyard. The former Royal Navy base here is now the port of entry for most cruise ships visiting Bermuda. There are beaches in Sandys, but it’s not named for them. The parish takes its name from Sir Edwin Sandys. The English politician was one of the founders of the Virginia Company of London, the company that established the settlement at Jamestown. Bermuda was colonised after one of their ships, the Sea Venture, was wrecked on the reefs while carrying supplies to the colony in Virginia. Each year hundreds of thousands of tourists arrive on the cruise ships that dock at King’s Wharf and Heritage Wharf, the two berths at Royal Naval Dockyard. The area is packed with attractions such as the National Museum of Bermuda, Dolphin Quest, Bermuda Fun Golf, and Snorkel Park. It’s worthy of whole section of this site, so if you are interested in this area check out our guide to the Royal Naval Dockyard. Cambridge Beaches is currently the only major hotel in Sandys Parish. The upmarket cottage colony is situated on a peninsula at the northern end of Somerset Island. It offers several restaurants, numerous private beaches, a water sports facility, spa, tennis courts, and extensive gardens. Rates are expensive but you’ll be mixing with a distinguished clientele that has included Elton John, and Bill and Hillary Clinton. The parish has seen its fair share of hotel closures in recent years. John and Nelga Young opened the Lantana Colony Club in 1958. It was the island’s first cottage colony and had a great reputation for service. The 20 acre property boasted English-style gardens, a croquet lawn, tennis courts, a fine collection of sculptures, and a private beach. It closed in 1998 with the loss of 60 jobs. John Young died in 2006 but before his death left his art collection, including the sculptures from the Lantana, to the Bermuda National Gallery. Some are now on display at the Queen Elizabeth Park in Hamilton. The Lantana was purchased in 2008 by New York investor Lawrence Doyle. He plans to redevelop it in the future. 9 Beaches opened in 2005 at Daniel’s Head on Somerset Island. The eco-friendly resort comprised 84 cabanas, some of which rested on stilts above the ocean. It closed for renovations in 2010 and has not reopened. A statement on the website claims it will be back in business in the summer of 2015. However, similar claims in recent years have come to nothing. The most recent property to close was Willowbank. The 70-room non-denominational Christian hotel shut its doors at the end of 2011. The trustees have no plans to sell it and hope to put it to good use in the future. The Somerset Country Squire is one of a couple of decent pubs in Somerset Village. You can watch sports in the downstairs bar but the best option is to grab a table on the terrace and enjoy magnificent views of Mangrove Bay. Somerset’s other main offering is the Salt Rock Grill. Formerly the Loyalty Inn, it’s situated just a hundred yards east of the Somerset Country Squire and offers pub grub, seafood, and sushi. Specials are available every evening throughout the week and there’s live music some nights. Restaurants and pubs at Dockyard are the Bone Fish Bar & Grill, Freeport Seafood Restaurant, Café Amici, and the Frog & Onion. Enter Sandys from the south and the first attraction you’ll come to is Hog Bay Park. 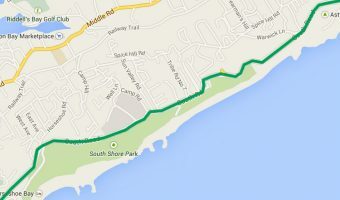 It’s one of the island’s newest parks and extends right from Middle Road to the coast. The park has a rural feel with areas of woodland, working farmland, and the remains of old buildings. Hike along the path to the shore and you’ll be rewarded with one of the best spots on the island for swimming and snorkelling. Somerset Bridge is just north of the park and was built in the early 17th century. It connects Somerset Island to Bermuda Island and is the world’s smallest working drawbridge. The central plank opens just wide enough to allow the mast of a sailboat to squeeze through as it passes between Ely’s Harbour and the Great Sound. Robinson’s Marina is a busy little site just east of Somerset Bridge. There are a number of businesses here including Blue Water Divers, Somerset Bridge Watersports (boat rentals, kayaks, and jet ski tours), and the RUBiS marine service station. Continue your journey north and the next place of interest you’ll come to is Fort Scaur. This impressive hilltop fortification is testament to the animosity that existed between the United States and Britain in the mid-19th century. Although hard to imagine the threat now, Britain had backed the defeated Confederates during the US Civil War and was anxious about a possible retaliatory US strike on Bermuda. Fort Scaur was one of several forts built around this time to defend against such an attack. One of the most impressive features of the fort is its 64 pound gun. It’s mounted on a Moncrieff disappearing gun carriage. After firing, the gun retracted behind the ramparts, leaving the enemy unaware of its location. The gun itself is an original but the carriage is a replica, recently commissioned by the government as part of a project to conserve Bermuda’s military heritage. The Heydon Trust Estate lies adjacent to Fort Scaur. The 43-acre property is largely undeveloped and consists mainly of woodland and open land. It’s a private estate but is open to visitors from dawn to dusk. The highlight is the Heydon Trust Chapel, one of the oldest structures in Bermuda. Step inside the tiny whitewashed building and view the cedar alter and pews. It’s open Monday to Saturday from 8 am to 4 pm. Head further up Middle Road and you’ll come to sleepy Somerset Village. Somerset Long Bay lies just to the northeast and is the main public beach in the parish. It’s not as impressive as the beaches of South Shore Park, but features a pleasant park with picnic tables, a playground, and a small nature reserve. Boaz Island, Watford Island, and Ireland Island South lie between Somerset and Dockyard and are linked by a Malabar Road and a series of bridges. 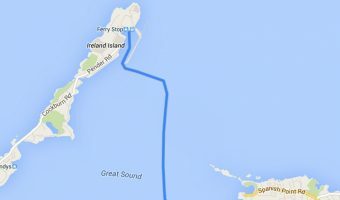 The main point of interest on this stretch is the Royal Naval Cemetery on Ireland Island South. The graveyard is the resting place of Royal Naval personnel that have met their fate in Bermuda. The graves here date back to the beginning of the 19th century. The tombstones make fascinating, but grim, reading and record with great detail how each occupant died. Many died from yellow fever but other causes include being ‘struck on the head by the handle of a crane’, ‘sun stroke’, ‘rupture of a blood vessel’, and ‘bathing’. Royal Naval Dockyard lies at the northernmost point of Sandys Parish. Tourist attractions here include the Bermuda Arts Centre, Bermuda Fun Golf, Dolphin Quest, the National Museum of Bermuda, and Snorkel Park. The Island Tour Centre offers a huge range of activities including snorkel trips, sightseeing cruises, glass bottom boat tours, kayak adventures, bike tours, fishing trips and more. KS WaterSports and Hartley’s Helmet Diving are also based here. Somerset Bridge, Fort Scaur, the Heydon Trust Estate, and Somerset Village lie on Middle Road, the busy main road running through the parish. They can also be accessed from the Sandys section of the Railway Trail. There are no golf courses in Sandys, but the famous Port Royal Golf Course is situated just south of the border with Southampton Parish. Every other year the Somerset Cricket Club host Cup Match, an annual cricket match with St George’s Cricket Club. The match takes place over two days and is a national holiday. The Non-mariners Race is held on the first Sunday after Cup Match at Mangrove Bay in Somerset Village. It is a lot of fun and well worth attending, or even entering, if you’re on the island at that time. Grocery stores in Sandys include Arnold’s Supermarket, the Maxi Mart, and the Somerset MarketPlace. There’s a large pharmacy at Dockyard where you can get over-the-counter prescriptions, health and beauty products, newspapers, magazines, books, sunglasses, beachwear and accessories, sun care products, sunglasses, and more. There are also two pharmacies in Somerset Village; Caesar’s Pharmacy and the Somerset Pharmacy. The Clocktower Mall is a shopping mall at Dockyard. It is home to a number of independent stores plus branches of some of the island’s department stores. Other shops and retail outlets at Dockyard include the Bermuda Craft Market, Bermuda Clayworks, Bermuda Rum Cake Company, Dockyard Glassworks, and Makin’ Waves. Royal Naval Dockyard is currently the port of call for most cruise ships visiting Bermuda. It has two large cruise ship births; King’s Wharf and Heritage Wharf. 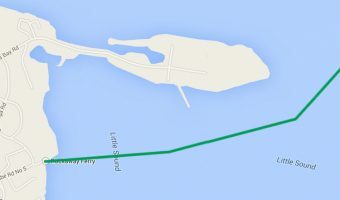 The Hamilton-Dockyard ferry (Blue Route) operates year round every day of the week. 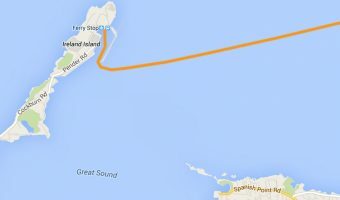 The ferries on this route are the new high speed ships, so the journey takes just 20 minutes. Scooters are also allowed on this route. Sandys is also served by the Green Route ferry, although this is an infrequent service catering primarily to workers. Both bus 7 and bus 8 travel between Dockyard and Hamilton. Both services follow the same route through Sandys Parish but take different routes going through Southampton, Warwick and Paget. Bus 8 goes via Middle Road while bus 7 takes a more interesting route along the South Road, with stops at Church Bay, the Fairmont Southampton, Horseshoe Bay, Jobson’s Cove, Warwick Long Bay, and Elbow Beach. Scooters can be rented from the Dockyard branch of Oleander Cycles. There are 3 Visitor Information Centres at Dockyard. Those at King’s Wharf and Heritage Wharf only open when there’s a cruise ship docked, but the main Dockyard Visitor Information Centre is open every day of the week. It’s situated near the ferry stop and is a good place to come if you need any advice or want to pick up tourist brochures and leaflets. It also sells bus and ferry tickets. Butterfield has ATMs at the Clocktower Mall, Maxi Mart, Somerset MarketPlace, and at their local branch on Mangrove Bay Road in Somerset Village (opposite the Somerset Country Squire). HSBC Bermuda has ATMs at Dockyard (Cooperage Building) and at its branch on Mangrove Bay Road. There are two post offices in Sandys; the Somerset Bridge Post Office and the Mangrove Bay Post Office. 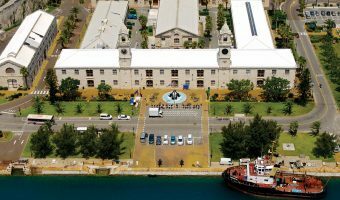 TeleBermuda International operates a WiFi network at Royal Naval Dockyard. It’s not free but is cheaper than the internet service offered by the cruise lines. Free wireless internet access is available at the Salt Rock Grill in Somerset Village. Interactive map of Sandys Parish. Click on any icon for further information. 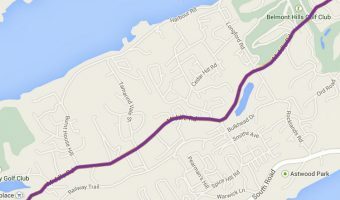 Commuter route serving Sandys and Southampton. Operates on weekdays only.